Sir Elton John is recovering from a seriously frightening health scare. On Monday, the 70-year-old performer announced that he contracted a potentially fatal bacterial infection while touring in South America and would have to cancel several concerts to focus on his recovery. After spending two days in intensive care and several more in the hospital, John was released on Saturday and is currently “comfortably resting at home.” Due to the nature of the infection and the expected recovery time, he was forced to pull out of the remaining April and May dates of his Las Vegas residency at Caesars Palace as well as a scheduled May 6 performance in Bakersfield, California. The legendary singer is slated to return to the stage on June 3 in Twickenham, England. “I am so fortunate to have the most incredible and loyal fans and apologize for disappointing them,” John said in the statement. “I am extremely grateful to the medical team for their excellence in looking after me so well,” he added. According to the U.S. Centers for Disease Control and Prevention, more than 160,000 people die from infectious diseases every year, many of which are caused by bacterial infections. While the many types of bacterial infections range in severity, common symptoms include fever, upset stomach, diarrhea, swollen lymph nodes and headaches. Antibiotics are typically used to treat bacterial infections, although some people opt for natural home remedies to prevent and treat less severe infections. That being said, when you have a bacterial infection as serious as the one Elton John had, you should not substitute home remedies for professional health care. And while John’s health scare may have been unavoidable, it’s still a good reminder to be extra careful when traveling abroad. Preventive measures include washing your hands before and after meals, being particularly cautious about the types of food you consume and using common sense when handling animals. 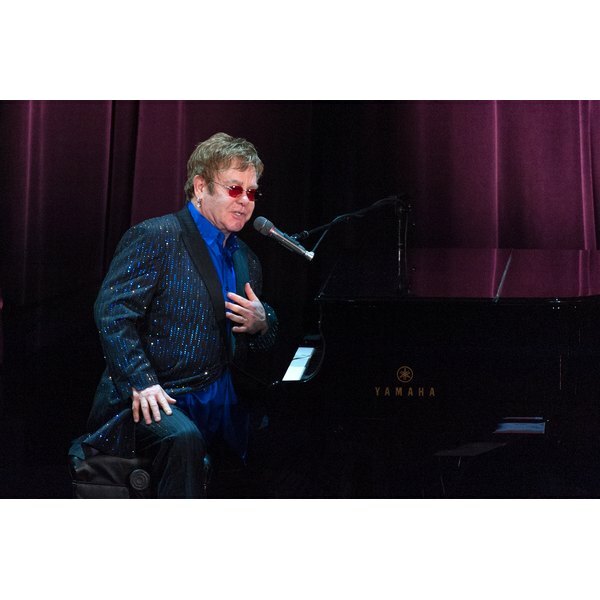 Does Elton John’s recent health scare worry you? Have you ever contracted a bacterial infection while traveling abroad? How did you treat it?